Saigon Hi-Tech Park is one of Vietnam's two national hi-tech parks and considered one of Ho Chi Minh City's five focal economic projects serving as the driving force for the city's development. Saigon Hi-Tech Park has received exceptional support from both the central and local governments, as well as from other relevant state agencies. As a result, the Park has been authorized to offer the highest tax incentives and one-stop investment application service to investors. 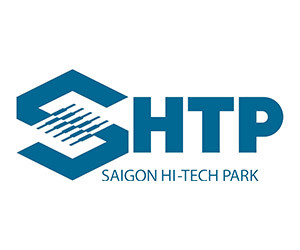 After 11 years of development, as one of the only three national hi-tech parks and one of Ho Chi Minh City's five focal projects serving as the driving force for the city's development unitl 2015, Saigon Hi-Tech Park (SHTP) has become a trustworthy destination for hi-tech investment in Vietnam. Towards 2020, SHTP is to be a technopolis playing an important role of strongly enhancing the technological and intellectual base of Ho Chi Minh City (HCMC) and the Focal Economic Region of Southern Vietnam, and serving as a Vietnam's model of technological innovation, intellectual capital development and innovation economy.